Many of the men and women who lived during World War II have passed, and with their passing we have lost so many memories of events and of daily lives. The War created the modern world, helping shape diverse facets of society and culture in many nations, but the hard lessons learned by survivors about the horrors of war grow increasingly distant. Alexander, Robin Hood, Wellington, George Washington... The Western literatures are packed with the stories—real and otherwise—of diverse heroes, but most of them share the common element of victory. Many of them died heroically to achieve their goals. In Japan, however, many of the most revered heroes lost their lives without achieving their goals, and in many cases fought their battles in full realization that they would end in abject defeat and death. This cultural background remains a bedrock underlying the modern Japanese psyche, and continues to shape the Japanese as individuals and a society even today, unconsciously, in the same way the West is still affected by the myths and legends passed down from Greece and Rome. 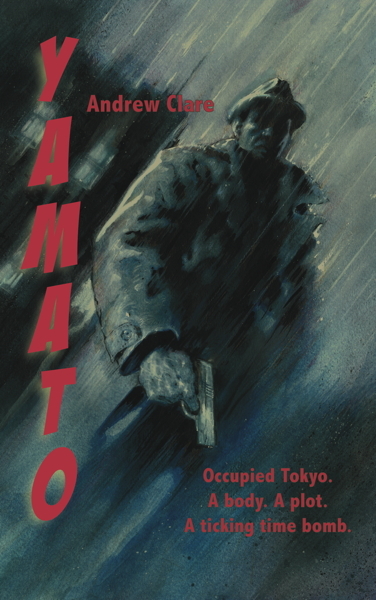 Yamato is a tense alternative-history thriller set in 1953 during the American occupation of Japan. Lieutenant Harvey Brice, an army intelligence officer, is found in his apartment with a bullet in his head. But was it suicide or homicide? World-weary CIA agent Ralph Carnaby, together with his Japanese-American sidekick, Dan Morita, are unwittingly drawn into a conspiracy which is unfolding in the very heart of the occupation headquarters in Tokyo—a conspiracy which ultimately threatens to change the course of Japan's postwar history. With a style reminiscent of Robert Harris' Fatherland, Clare weaves a web of intrigue and espionage which sees Carnaby and his fellow agents pitted against internal rivalries, yakuza gangsters, and a far more menacing and invisible force, in a nail-biting race against time.